Sertifi, the #1 closing platform for sales organizations, joins salesforce.com's Social Enterprise on the AppExchange to better showcase its social eSignature app to the Force.com community. We have 4.9 out of 5.0 stars with 138 reviews making us one of the highest rated apps on the AppExhange! Sertifi, a leader in software that automates the sales process, is now featured in the AppExchange Social Enterprise showcase to better reach Salesforce users looking to automate the last mile in the sales process. Today, organizations require business apps that are more collaborative, mobile, innovative, and, of course, social. Sertifi is excited to be recognized for embracing these ideas. 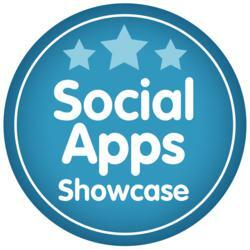 Those that visit the AppExchange will see Sertifi for Salesforce listed within the Social Apps Showcase. Sertifi for Salesforce is the #1 closing platform for sales teams. The social app enables organizations to shorten sales cycles with electronic signatures, increase close rates by enabling better collaboration during the agreement process, and increase sales rep productivity with advanced agreement workflow tools. "Customers are finding our app which is built 100% native on the Force.com platform greatly beneficial in closing deals," said John Stojka, Co-Founder of Sertifi. "We have 4.9 out of 5.0 stars with 138 reviews making us one of the highest rated apps on the AppExhange." 1. Collaboration - the app provides Salesforce users a better way to share agreements, collaborate on deals, and execute agreements with eSignatures while staying connected during the entire sales process. Users can choose to integrate Sertifi activity into Salesforce Chatter including when a document was delivered, opened, signed, and more. 2. Network Effects - the app brings employees (or customers) who may not normally interact together. Salesforce users can quickly and easily share agreements with customers and co-workers. 3. Fresh, Clean, Social UX - the Sertifi team aimed to create an eSignature app that fits current user behaviors in terms of consumer apps like Twitter and Facebook. The goal was to create an easy-to-use social business app that helps sales reps close deals faster. Installing the app takes as little as five minutes and no training is needed! 4. Mobility - Sales reps close business faster with the app because customers sign at their convenience on a computer, tablet, or smartphone. Sales reps can send, track, and manage agreements and work in real time. 5. Interoperability - the app is built 100% on the Force.com platform enabling integration with other applications including Conga Merge, Libra OnDemand, DrawLoop, and many others. 6. Innovative - Sertifi is committed to simplifying the last mile in the sales process. The company has several exciting collaborative features to come within the next couple of weeks. Stay tuned! Install Sertifi for Salesforce today. 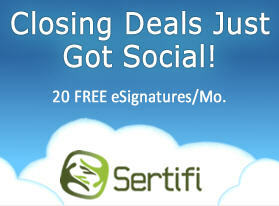 Sertifi offers a freemium service that includes 20 eSignature sends per month for free. If interested in Sertifi's solutions, please email sales@sertifi.com or call 1.866.983.8877. Sertifi provides business tools that speed the last mile in the sales process. Sertifi is the industry’s most trusted Web service API, which enables integration into existing systems, or pre-built connectors into leading platforms such as Salesforce and Microsoft Dynamics CRM. Sertifi is trusted by leading companies including Microsoft, CareerBuilder, Washington Post, and WildBlue.